It’s already nearing August, where has the time gone!? To ensure you’re prepped and ready for all the family holidays and outings this summer, Your Baby Club have gathered an incredible selection of sun-filed offers this week! Keep your little one’s energised when on the go with FREE healthy goodies from Ella’s Kitchen and save on all your fave summer essentials with the Tesco’s Baby event! The choices are simply endless! Enjoy big savings on your little one’s essentials from half price pampers baby dry & Johnson’s bath time to 3 for 2 on a range of babies favourite snacks. Why not stock up on essentials with Tesco today and click below. To save on the Tesco Baby Event, simply click below. To celebrate all of the incredible weather we’ve been having, our friends at Ergobaby have supplied an awesome prize for one lucky winner. For your chance to win simply click below and complete the survey questions to aid in future product development. 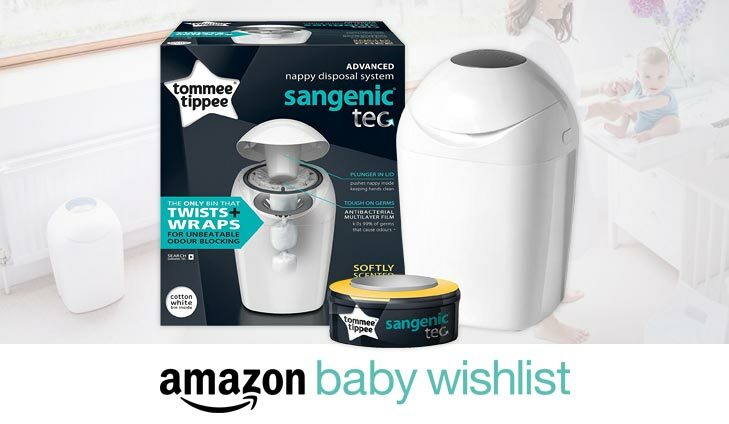 To get your FREE Tommee Tippee bin, simply click below. The Mama Mio Superstar in a Jar moisturiser is an absolute gem for effortless, super soft skin. Infused with several oils, this miracle worker can be applied all over the body for instant hydration. Better yet it’s completely FREE. For your chance to win a Mama Mio moisturiser, simply click below. 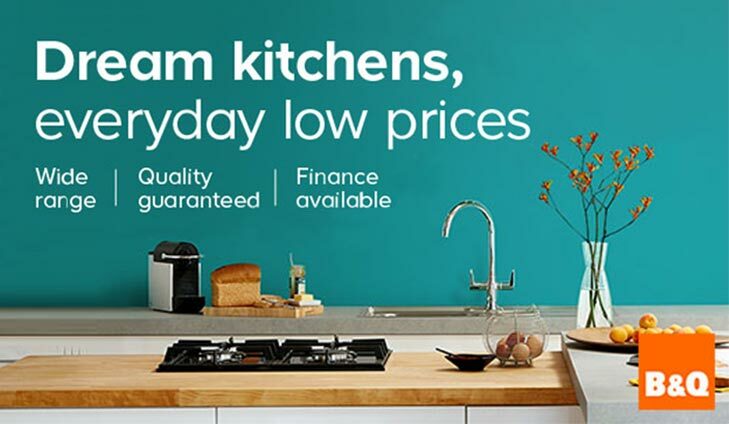 Design your perfect family kitchen with a FREE design consultation at B&Q. We all spend a lot of time in the kitchen whether we’re preparing meals for our family, entertaining friends or just relaxing so make sure yours is just right for you. To get your free design consultation, simply click below. Welcome to the Ella’s Kitchen family! As one of our very special Friends you can look forward to your free weaning pack with emails packed with hints + tips, coupons to try our yummy products, special access to our weaning app and so much more! 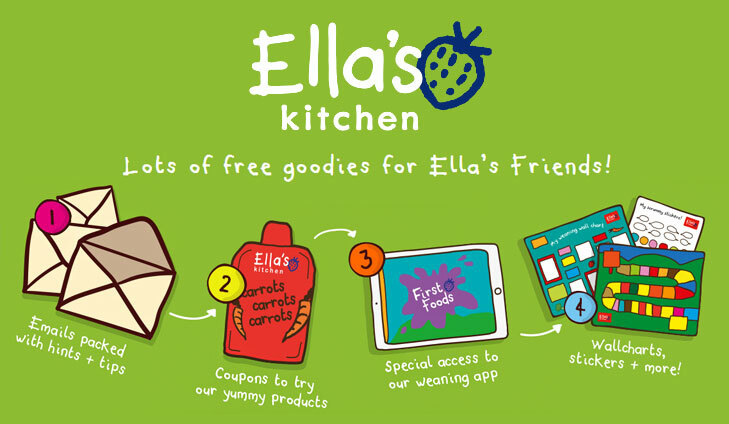 To get your free goodies with Ella’s Kitchen, simply click below. 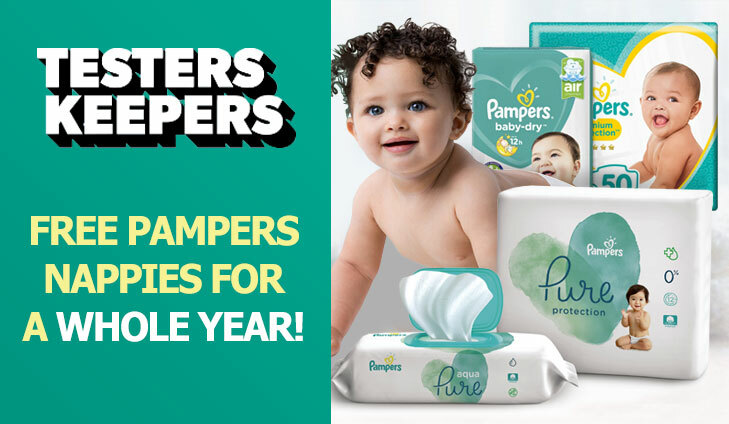 Try Pampers Nappies and Keep a Whole Year’s Supply! Test and keep Pampers nappies by choosing from Pampers New Baby, Pampers Active Fit, Pampers Baby-Dry and Pampers Baby-Dry Pants. This amazing opportunity also includes a year’s supply of your chosen Pampers nappies. What are you waiting for? Which Pampers nappies would you like to try out? To test and keep Pampers nappies, simply click below.